We work with companies of all industries and sizes, from small businesses & startups to large multinational companies with tens of thousands of employees. We have worked with customers all around Spain from our offices in Madrid & Barcelona, but also with international customers. Our experience in more than 300 Salesforce projects gives us a differential know how both on how companies work as well as how they adapt Salesforce to their needs, which is part of our value proposition. 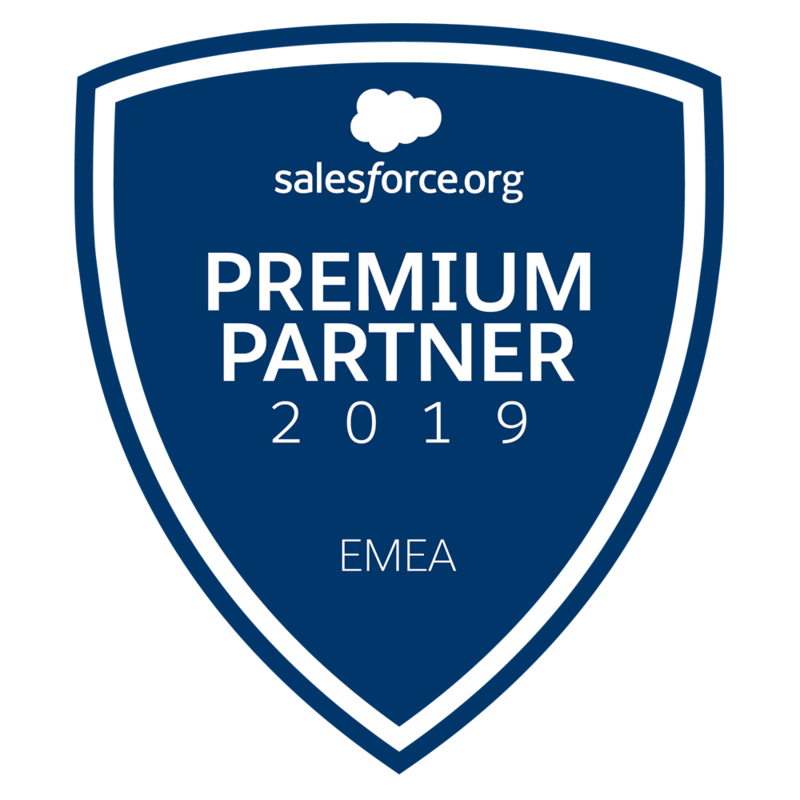 This is also the reason why, since 2016 we have been recognised as the 4th Salesforce Gold Partner worldwide on customer rating. "S4G has helped us in the implementation and development of the Salesforce tool. It's a very competent service company and very close to their customers. They helped us to evolve the tool according to the new needs and requirements in our business"
The UN Refugee Agency is a United Nations programme with a mandate to protect refugees and people displaced by persecution or conflict. It promotes lasting solutions to their situation through voluntary resettlement in their country of origin. "The great value of S4G has been its ability to understand our needs and bring them to the Salesforce world efficiently and effectively thanks to an expert and highly professional team." "S4G has been our guide to adapting Salesforce to our specific business needs. They are flexible and resolute which has been key to the success of the project." "We are working several years with Salesforce, S4G is supporting us in this tool, the experience until now is successful, they are very efficient and they are always able to adapt your business requests to the tool. Thanks for your service S4G." Alliance for Solidarity is a civil society organisation born out of the union of International Solidarity, Ipade and Habitáfrica. It works for human and economic development on other continents. AmChamSpain strives to achieve political changes that benefit our partners. We work to defend the interests of US companies in Spain, promote new direct investment and support the presence of Spanish companies in the US. "S4G has helped us identify the problems we had in our Salesforce system and solve them effectively. Thanks for the support you gave us"
"The S4G project team managed our Salesforce implementation project with consultants that had the right mix of technical NPSP skills and great industry knowledge. They proactively provided guidance, suggestions and recommendations during all the project phases, becoming a key factor in the successful deployment of Salesforce within our organization." "We have been working with S4G over the last few years now, and during this time, they have helped us to implement two different Salesforce instances which support some of the services we provide in the healthcare industry. It is great working with the S4G team, and they are always willing to help find a solution to our problems, no matter the complexity. Their service is great, and we will continue working and developing our relationship with them"
BQ is a Spanish consumer electronics and software development business. It is one of the leading European tech firms, operating in over 50 countries. Its divisions include media devices, 3D printing, electronic ink readers and robotic kits. Bergé y Cia. was founded in Bilbao in 1870. It is one of the leading Spanish business groups. With an extensive international reach, it operates in sectors such as sea and port, automobile distribution, logistics, renewable energies and finance, among others. Berlitz is a member of the Benesse Group, with more than 550 proprietary and franchised outlets in 70-plus countries. It provides training programmes for individuals, businesses, government agencies and non-profits in over 50 languages. Worx offers an innovative range of tools and equipment for home, business and outdoors. Cabify is a Spanish international transport network company that connects users to vehicles through a mobile app. In early 2018, it was valued, according to its latest round of financing, at USD1.4 billion, making it Spain’s first unicorn. A family firm with over 45 years’ experience and a leader as a unique brand in the coffee sector in Spain. Our mission is to deliver the highest quality coffee every day with direct, personalised service. Calculo, headquartered in Madrid and Barcelona, is a Spanish leader in knowledge of the insurance business, where it has been developing IT solutions and providing consulting services for more than 50 years. Celer Soluciones is a company founded in 1984 that provides translation services to organisations. "With their broad experience and deep understanding of Salesforce, S4G gave us a new vision of what our CRM could offer us. The result has been very good, they are a very professional company." SRCL Consenur has been working for the health sector for more than 25 years, with a wide range of highly specialized services. The key element of success on our collaboration with S4G has been, beyond their extense knowledge of the Salesforce platform, their great contribution of common sense and knowledge of best practices on Sales processes, providing great value at business level. With almost 60 years of experience, a presence in more than 185 countries, 6.6 million cards issued and over 13 million locations affiliated with its acceptance network worldwide, Diners Club offers a wide range of cards. "We have found Salesforce to be very flexible and in constant evolution both of which make it a great product. S4G has been extremely effective and professional in their project with us. They have demonstrated great ability in adapting the system to a very specific environment and industry." Down España was established as a federation on 23 April 1991. Present in all the regions of Spain, it is the only national Down’s syndrome organisation in the country. EOI was founded on July 12, 1955, being the first business school in Spain and one of the firsts in Europe. For more than 60 years, they have contributed to modernize the Spanish economy and industry through training managers. "To implement HEDA, a partner must understand the different university levels, the resources available to it and its decision-making times. The achievements we have made in a single year are down to the S4G team, their professionalism and empathy with the education industry." "We succeeded in remarkably simplifying our systems by using standard features from Salesforce ecosystem. This has given us more reliable and consistent processes as well as speed. All this was managed with tight schedule and budget, which would have not been possible without S4G expertise and collaboration." A company with 200 years of history, comprising the largest insurer in Portugal and one of the largest on the Iberian Peninsula by volume of premiums, number of customers and levels of satisfaction. FoodBox is an innovative multi-brand restaurant platform established with the aim of leading the new Spanish organised food business. Its investment partner is Spanish management company NAZCA Capital. Balia is a non-profit with no political or religious affiliation, dedicated since 2001 to the comprehensive development of children and youth at risk. "We started with Salesforce from scratch and we were able to adapt it as our company grew and our needs evolved. Logically, technology and innovation needs to help your business grow and manage your customers, which in our case translates to donors and partners, efficiently and as automated as possible." A private non-profit whose mission is the social and labour integration of people with disabilities while also addressing other social and environmental concerns to transform and create value in our society. An NGO aimed at improving the living conditions of people with Down’s syndrome and acquired brain damage and their families to achieve full family, school, work and social integration. It seeks to foster criteria and develop strategies for corporate social responsibility. "We are thrilled with the results. We have to highlight the swiftness and availability demonstrated by S4G Consulting throughout the project, their flexibility and, especially, the quick understanding of our organization and our specific needs." A foundation dedicated to improving the lives of children and families from Mozambique, one of the poorest countries on the planet. A global leader in composite tackle manufacturing, with more experience and nautical miles than the rest of its competitors combined. An IBM company specialising in outsourcing services which offers comprehensive solutions for the administrative and operational needs of companies that have decided to focus efforts and resources on their core business. GLOBAL-DTECH is a multinational supplier of Global Access Solutions (Technical Closings and Fixations) in all industrial sectors, with the representation of SOUTHCO and SUGATSUNE in Spain. An economically and politically independent international pacifist and environmental organisation. Present in 55 countries, it has more than 110,000 members in Spain and 3.2 million worldwide. Grupo Amás is an organisation that supports, exercises, promotes and defends the rights of people with intellectual disabilities. It is committed to enabling them to develop their life plans and promotes their social inclusion. "During my professional career I have worked with several Solution Providers. Javier and the S4G Team have been of great assistance from day 1 with our Salesforce implementation project, guiding us effectively so that our CRM was a success from the start." Founded in 1979, GMP is one of the leading unlisted property management groups in Spain. A cultural and educational project with a distinctive proprietary business model that includes a foundation and companies and whose mission is to make significant contributions to education and culture in order to achieve the comprehensive development of people and to transform society. Gureak is a Basque business group that generates and manages stable and conveniently adapted job opportunities for people with disabilities, prioritising people with intellectual disabilities in Gipuzkoa. Since its early days, JF Hillebrand has been dedicated exclusively to beverage logistics services. With more than 170 years of history, the company has specialised skills and streamlined processes to provide the best service in the industry. ¡Hola! is a weekly Spanish celebrity magazine and one of the best-selling publications in the country. "We partnered with S4G to implement Salesforce and Pardot. 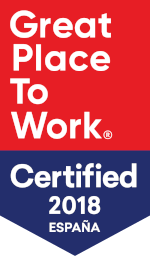 They helped us allay our fears about being unable to fully leverage the tools and to take a holistic view on how SFDC and Pardot can serve the company." Iturri Group makes and distributes technical clothing, military footwear and fire-fighting vehicles with a high technical and innovative component. "Our business has salesforce as a base platform for all operations integrated with logistics/procurement/finance applications. We recently had a special support necessity involving several different areas of the business. Javier analyzed the situation for us and quickly came up with a suitable solution that met our immediate needs and is helping us to improve the use of our applications. In our experience throughout years of relationship, S4G has always presented solutions for our business, and demonstrated having a strong team of consultants to implement and support them. Thanks S4G!" The companies that make up Lantero Embalaje enjoy great renown in the corrugated cardboard sector in Spain. They are strategically located in different areas of Spain, with six corrugator plants and 15 handling units and provide their services to customers throughout the country. Las Colinas is a golf course and country club in Alicante with houses for sale and rent beside a green. It is part of Grupo GMP. A leading specialist in Madrid for property-owner communities and private household installation, repair and maintenance services. Legrand offers optimal solutions for electrical installations and information networks on the residential, commercial and industrial markets. A general cleaning and comprehensive maintenance services company with more than 25 years in the business and a team of over 200 people. Founded in Barcelona in 2005, the company provides a fresh and innovative approach to the luxury real estate market and a solid reputation in terms of reliability, integrity and detailed knowledge thanks to their excellent multilingual staff. Onnera Group is a global business group working to provide equipment solutions for the restaurant and catering, laundry and refrigeration applications industries. OpenBravo is a world leader in the commercial open source software space helping midsize to large organisations across the world successfully manage business change and continuous innovation in today’s rapidly changing retail industry. Headquartered in Cornellà de Llobregat (Barcelona), Panasonic has been present in Spain since 1975. The company is divided into three major business fields: Consumer, Solutions and Components & Devices. Pelayo Mutua de Seguros is a fixed-premium mutual company dedicated to insurance activity in Spain. It offers insurance products in the fields of automobiles, property, accidents, life, civil liability and healthcare. PowerData is a multinational of Spanish origin with more than 10 years on the market providing services and technology for the data management of large organisations. It has over 200 data management professionals and experts in Argentina, Chile, Colombia, Spain, Mexico and Peru. Camilo José Cela University (UCJC) is a private, independent and multicultural university founded in 2000, based in Madrid (Spain). A German family company created in 1937 with more than 50 subsidiaries worldwide. SSI Schäfer is a leader in logistics systems and storage and transport. Secuvita is part of the Vita 34 Group, established in Germany in 1997, and was the first umbilical cord blood bank for private storage in Europe. International leader company of quality life services. Sodexo offers food services, facilities and full solutions to their clients, contributing to efficiency and providing well-being. Survival International is the global movement for tribal peoples. It’s fighting for their survival around the world. Tecnalia is a leading research and technological development centre in Europe. It partners with companies and harnesses technology to help them become more competitive, generating wealth and employment. ToolsGroup is the world’s most experienced supplier of on-demand analytical solutions and supply chain optimisation software. Camilo José Cela University (UCJC) is a pluralistic, free and independent private university founded in 2000 and based out of Madrid (Spain). Carlos III University in Madrid was created by an Act of the Spanish Parliament on 5 May 1989. From the outset it was intended to be a relatively small, innovative, public university providing teaching of the highest quality and focused primarily on research. Pompeu Fabra University was founded in 1990 by the Catalan government with the aim of establishing a public university focused on academic excellence and contributing to the country’s development. It is placed among the Top 150 in the world according to the Times Higher Education Ranking (2019). The University of Navarra is based in Pamplona and was founded in 1952 by St. Josemaría Escrivá de Balaguer. Uponor provides reliable plumbing, heating/cooling and infrastructure solutions. Arco is a family firm based out of Valencia, Spain, with four business areas dedicated to the design, production and distribution of valves, fittings and systems for plumbing, gas and heating. A sector leader providing travel agency services to businesses, individuals and groups. The company has more than 700 international offices located in France, Belgium, Portugal, Italy, US, Chile, Mexico, Argentina, Peru, Cuba and Dominican Republic. GEA Westfalia Separator Ibérica is the subsidiary for Spain and Portugal of GEA Westfalia Separator Group, the world leader in mechanical separation technology. Family business. Premium winemakers and distributors. Originally from Spain, today it is one of the leading companies in the sector globally, with a portfolio of over 15 brands operating in more than 80 countries. Zena Alsea is the leading restaurant operator in Spain in the fast food, casual dining and traditional food segments. Since 2014, its major shareholders have been Alsea, the largest operator of leading restaurants in Latin America, and Alia Capital.